Often when a child is expressing anger, their parent may feel the child is becoming more powerful in that relationship. It can leave mums and dads feeling as if they’re treading on eggshells around their kids, and that they should be able to manage this behaviour. The topic of anger and violence is one of the top five issues that is discussed in calls to family charity YoungMinds’ helpline. “It’s a huge hidden problem in the UK,” Emma Saddleton, parents’ helpline operations manager at YoungMinds told HuffPost UK. “It’s enormous. It debilitates parents and leaves them questioning how they parent their children. 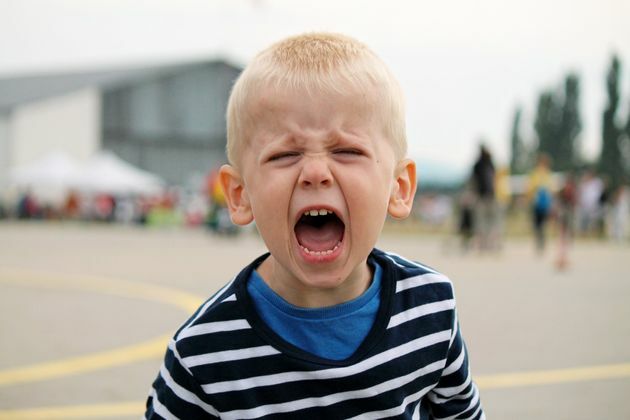 Children may experience the emotion of anger for a range of different reasons. Some may be affected by family issues such as divorce, and others may be going through stressful situations at school with friends or bullies. Anger can also be provoked by having to cope with hormone changes during puberty or just because a kid feels fearful about aspects of their life, states NHS Choices. Saddleton said it’s important for parents to remember that a child’s behaviour is always a form of communication, so it’s a your job to understand what they are trying to convey. As a parent, you are your child’s greatest advocate and you will know more than anyone else if the anger issues you’re noticing are outside the realm of normal. “Some children are naturally boisterous, some are more confident and some are more timid,” explained Saddleton. Here are eight things parents should do to deal with their child’s angry emotions. 1. Acknowledge how they are feeling. Saddleton advised: “You can always say: ‘You’re right to feel angry, I completely acknowledge how you are feeling’,” she said. The NHS states parents should try and stay positive when acknowledging their child’s anger issues, stating: “Positive feedback is important. Praise your child’s efforts and your own efforts, no matter how small. 2. Look for underlying factors. “Don’t just look at it as them being difficult,” said Saddleton. “Always try to look for underlying factors – have there been any triggers? “It could be something about learning or development, and anger can often stem out of a sense of frustration. Understanding why your child feels angry will help you to help them work through the feeling. 3. Help your child spot the signs of anger. “Being able to spot the signs of anger early can help your child make more positive decisions about how to handle it,” states the NHS. “Talk about what your child feels when they start to get angry. 4. Remember that it can be considered normal. As children develop and reach milestones, some may have moments of acting out anger as part of finding their way in life, said Saddleton. Tantrums are common in toddlers and even in children up to eight years old. 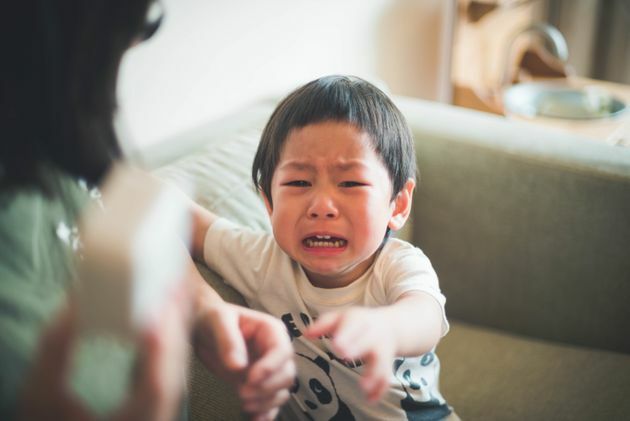 So if your child is having a tantrum, don’t assume it is outside the realm of normal and do deal with it by disciplining them as you usually would. By the time your child reaches seven to eight years old, these tantrums should be less frequent and not last for as long. At this age, kids will begin to develop a “sense of self” and will be able to articulate how they are feeling more easily. 5. Give them consistent boundaries. “Children who are angry and aggressive feel out of control,” said Saddleton. “What they need is a parent to give them structure, routine and consistency – as well as consequences of their behaviour. “Parents must have the capacity and space to give them consistent boundaries. Mums and dads may often feel like they’re treading on eggshells and feeling afraid of a child. 6. Talk to your child about their anger. As well as acknowledging how your child is feeling, the NSPCC recommends communicating with your child about what is on their mind. An NSPCC spokesman told HuffPost UK: “It can be difficult for parents to have conversations about sensitive topics with their children but it is important they do talk with them so they can get to the root of the matter and get them help, if needed. Set aside time to talk so that there aren’t any distractions or time pressures. For them to feel truly involved, it’s very important to show that you are listening to them and really value what they’re telling you. Unfortunately things do happen that can turn young lives upside down. Separation, illness and death obviously have a huge effect and talking about them needs to be treated very carefully. Be prepared for things to get emotional and perhaps distressing too. Reassure them that you are always there for them and they can always talk to you. 7. Get the school involved. Schools are the main access point for information about your child, said Saddleton. “Getting the school involved can be useful for a parent to gauge whether the anger is present consistently, or just at home,” she said. “If a child is angry at school but not at home, that is very telling – it can help rule out developmental conditions and disorders. Saddleton said anger can be tricky as parents don’t know whether to just excuse the behaviour. “Some parents don’t want to be too hard on their child if they think they are distressed,” she said. “Others sway from that to embarrassment and shame. “Parents need support themselves and often find it hard to focus on themselves when they are worried about their children. NHS Choices has information on how to deal with child anger here. Parents can contact the YoungMinds parents helpline on 0808 802 5544.